Well, we did it. The Great Aussie Roadie is over. We made it to Perth in one piece. Twenty-two thousand two hundred and thirty two kilometres, four months and two and a half thousand litres of petrol after leaving our front door in Bronte, Sydney, we pulled up outside Katie's brother's house in Perth yesterday afternoon. 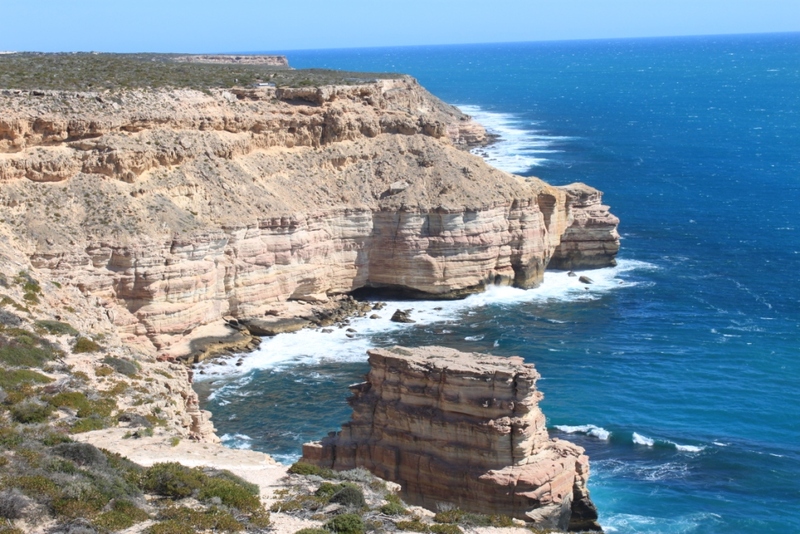 After the magnificence of Shark Bay and our discovery of The Beach I doubted we'd have another highlight on our way south to Perth, but we did have one more good discovery. Sandy Cape Recreation Reserve, on Indian Ocean Drive, was pretty cool. 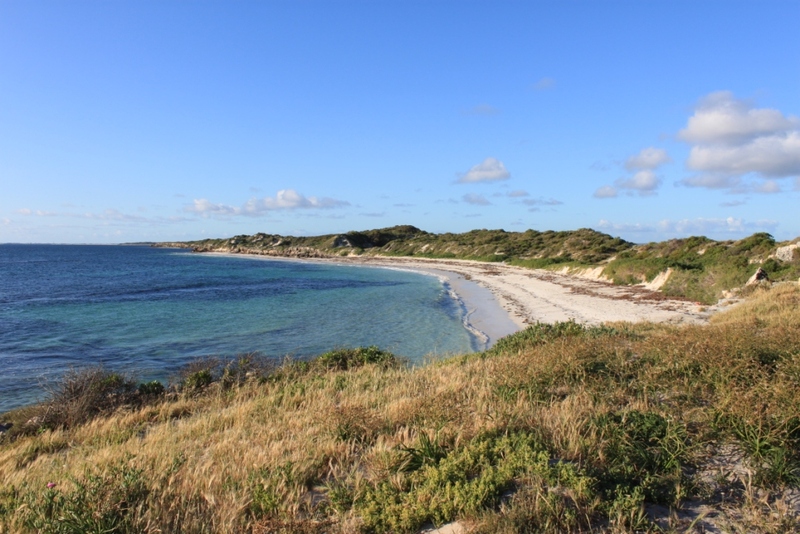 Only about 300km north of Perth, it's a beautiful spot, with a wild coastline, pristine white sand beaches, some good 4WD tracks for a bit of a play in the sand, and camp sites by the beach for $15 a night for two people. There aren't any facilities besides a bush loo, but once again the 6km dirt road in puts a lot of people off so it's not too crowded even during school holidays. We spent a couple of nights there just lazing around really, not wanting to leave as we knew it signaled the end of the Roadie. 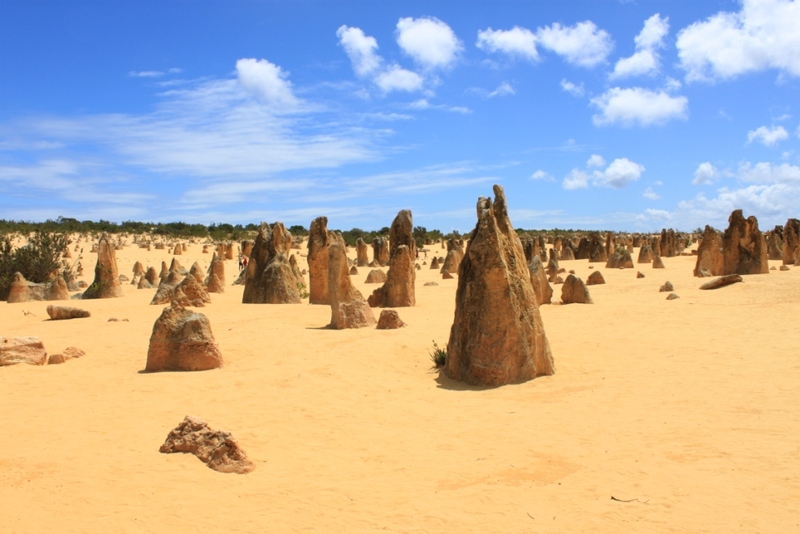 We visited the Pinnacles Desert in the nearby national park, which was interesting enough but we agreed we were pleased we had a national parks pass and hadn't had to pay the $11 entry fee. The problem with seeing so many incredible things over the last four months is that you become extremely hard to impress. We found that in Kalbarri National Park, some 600km up the road from Perth. 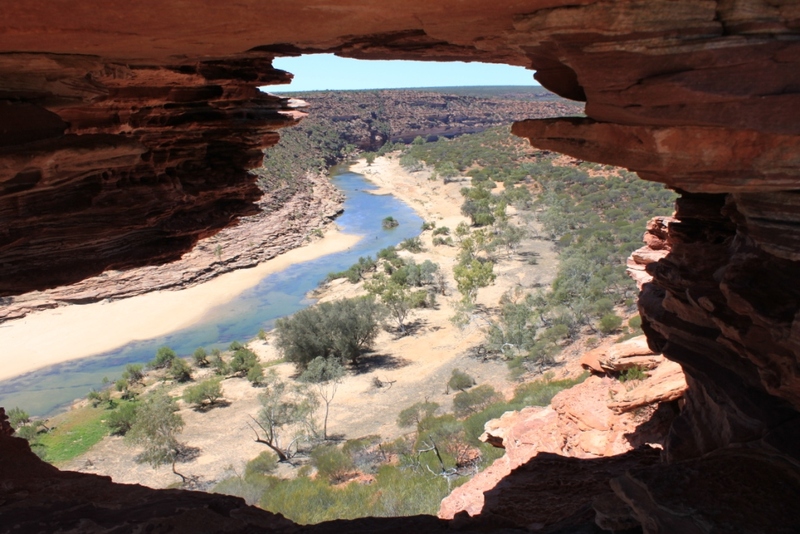 It's full of river gorges and wildflowers and while it's very pretty, it's frankly not a patch on Karijini National Park 1000km further north, or Litchfield back in the Northern Territory. After Kalbarri we had a night free camping in some sand dunes we found a little south of the town before heading to Sandy Cape. Then it was time for a final night before hitting Perth, and we chose Guilderton, a lovely little seaside town just 90km north of the big smoke. The campground was heaving with families and it we had to pay $29 but we didn't mind. 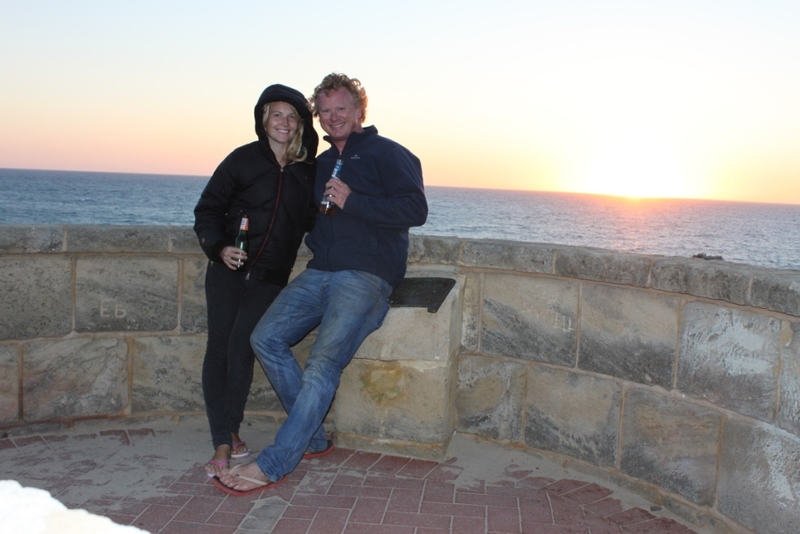 We wanted to be near a fish and chip shop and a bottle-o so we could have a final beer and watch the sun set on our great adventure. So here we are in Perth. Although to be honest we haven't actually seen it yet. We've spent the past 24 hours luxuriating in the novelty of being indoors. There's no wind. You don't have to go outside to go to the bathroom. Toasters. Electric jugs. A bed. In the days to come though I suspect we might need a re-integration programme of some sort. Being on the road becomes addictive after a while. You fall into a rhythm; get up, make a coffee, eat breakfast, pack up the tent, drive, find a good spot, put up the tent, have a swim/walk, cook some dinner, read your book, go to bed. Then get up in the morning and do it all over again. There are people who never manage to give it up, of course. Some travelers just keep on going, round and round. This country is so big you can spend years behind the wheel without ever driving down the same road. We stuck mostly to the coast and still managed to travel more than 20,000km. And that was only as far as Perth. 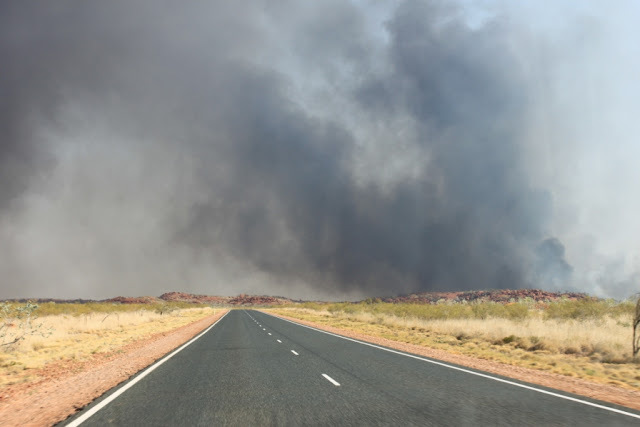 If you ventured more inland, onto the hundreds of Outback roads that run ruler-straight for thousands of kilometres across this brick-red land you'd reach six figures in no time at all. The road goes on forever, and the highway never ends. PS I'll do a final, best-of post in a few days time, so stay tuned. What an awesome roadie .Well done. I've really enjoyed following your adventure. Like the poster above, I'll also miss checking in for updates every now and then. However, luckily any withdrawal symptoms will be manageable as we're about to start our own big adventure. Suffice to say your blog was one of several factors that prompted us to do it now rather than wait for retirement, a lotto win or hell freezing over. Thanks for that, and thanks for sharing your tales with us.